The BA owner is set to sell its stake in Norwegian Air. When IAG bought in last April, higher oil prices made it plausible that its unhedged smaller rival would become vulnerable to a takeover. As it happens, a sharp fall in crude values means the egg is instead on its own face. 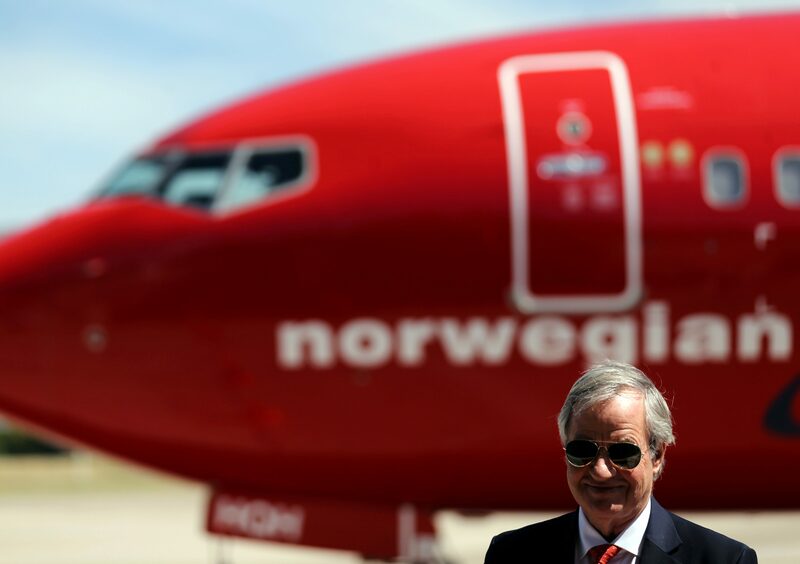 Bjorn Kjos, CEO of Norwegian Group, speaks during the presentation of Norwegian Air first low cost transatlantic flight service from Argentina at Ezeiza airport in Buenos Aires, Argentina, March 8, 2018. British Airways owner IAG said on Jan. 24 it would not make a new bid for Norwegian Air and would sell its remaining 3.9 percent stake in the budget airline. IAG Chief Executive Willie Walsh last year ruled out a hostile takeover for Norwegian and said he would not get drawn into a bidding war. Norwegian Air shares plunged as much as 26 percent to a six-year low of 132 Norwegian crowns on Jan 24. Its shares were down 21.7 percent at 132.85 Norwegian crowns by 1335 GMT. IAG shares rose as much as 1.7 percent to 643.8 pence, their highest since Dec. 28.